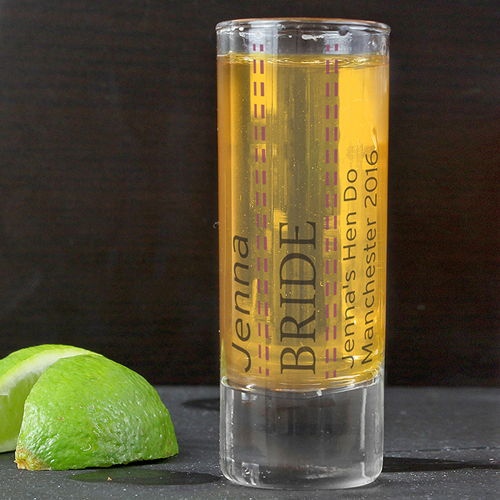 What better way to have a shot of alcohol than with your own personalised shot glass! That way no one can steal your drink! You can personalise this male shot glass with up to 4 lines of text. Line 1 you can personalise with a name up to 12 characters followed by a line up to 15 characters (UPPERCASE) and then a further two lines of 25 characters in length. Lines 1, 3 & 4 the personalisation is case sensitive and will appear as entered. Line 2 will appear in UPPERCASE. This tiem is not available for next day delivery.